With over 20 years of experience in aviation, we have you covered. Neal Hinman opened his shop in 1997, with a love of flying and aviation, he is a natural fit running his own business. Neal has held his IA for over 12 years now, and is even recommended by Piper Aircraft for his extensive knowledge of the PA23-250 Aztecs. 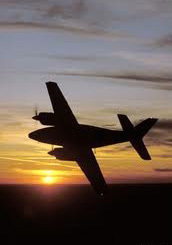 Neal and his crew also have experience on pressurized twin, radial, as well as agricultural aircraft. One of the most convenient and useful assets of Hinman Aviation is the location. We are literally located right at the Webster City Airport. Not only can we get you right in the air, but Neal and the crew can help you select an aircraft for business, or just for a family outing if you in the market to buy..
From repairs to recreational flying, we enjoy serving you and our satisfaction is watching your plane lift off and our customers with a big smile! If you have questions, or have ever wondered about flying, we would love to have you stop by our office. Take a look around, aviation is a fascinating discipline.